Don't Get Too Excited, But... First "Steins;Gate" Movie Promo! The footage isn't too shockingly new, and the music is a bit familiar too, but hey, it's exciting just to get a first promo for Spring 2013's long promised Steins;Gate Fuka Ryoiki no déjà-vu. After a website launched, MAGES president Shikura Chiyomaru tweeted that the anime features an original story with a new conclusion to the time travel mystery. Storyboard artist Kanji Wakabayashi steps up to direct the feature, with Jukki Hanada returning to write. TV series directors Hiroshi Hamasaki and Takuya Sato are on board as chief directors. Continuing the story from the prequel, Shinku is summoned once again back to the world of Flonyard along with his two other friends in this exciting anime, Dog Days'. Three months after his adventure in Flonyard, Shinku gets summoned back once again, this time bringing Rebecca with him. His cousin and rival athlete Nanami, also is summoned to Flonyard as Galette's Hero. The First Princess of the Principality of Pastillage, Couver, leads her squirrel-like faction into the battlefield as well with the intention of scouting Rebecca to become their hero. Dog Days' continues on the story from it's sequel and provides a lot of fan service and interesting character development than ever before. If you have watched the prequel, you will definitely enjoy this sequel. First off, let me say that the story has been improved with a lot of character development and plenty of action and comedy elements sewn throughout the series. This time, it is not just Shinku that is summoned, he has dragged his friends (Rebecca and Nanami) with him. Thus, he is once again the hero of Biscotti whilst Nanami becomes the hero of Galette. Rebecca feeling left out gets scouted almost immediately by the newly introduced squirrel faction, Pastillage. The art was improved this time around with the entire series animated in high definition form. I was impressed at the art and special effects that was seemingly overflowing in this anime. I must say that the characters all looked extremely cute and I couldn't help myself wanting to "pet" them since there are pretty much all dogs, cats, and squirrels. The voice acting was excellent for most of the characters and I noticed a few popular voice actors have been used for some of the major and minor characters. The theme songs were quite good and pretty much your standard shounen action type music. Shinku is still your friendly, easy-going and lively boy, going around and helping the people around him. He also enjoys being the hero and tend to overdo things with loud shouts and flashy moves. Nanami is not much different either, with her "go all out" attitude, she rivals Shinku on the battlefield. Rebecca is more shy and cute and understanding of the three. She tends to care a lot more about the people around her and she isn't afraid to express her concerns to her friends. As for the other characters, you will have to watch to find out more; but these three are the main characters you would want to focus your attention on. Overall, I enjoyed the sequel a lot more than the prequel. It differs slightly in story representation and character development and acts more of a fantasy slice of life anime with some action rather than heavy action-oriented portrayal. I must notice though that compared to the prequel, the anime touches lightly upon the "magical girl" genre with what happens to be "accidental" use of magical girl type plot devices such as cute girls and clothes transformations. 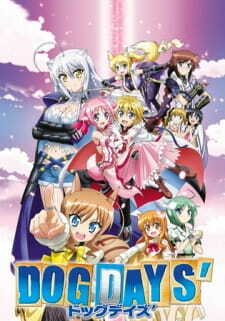 If you want some light-hearted fantasy action comedy, Dog Days' will definitely satisfy your need. 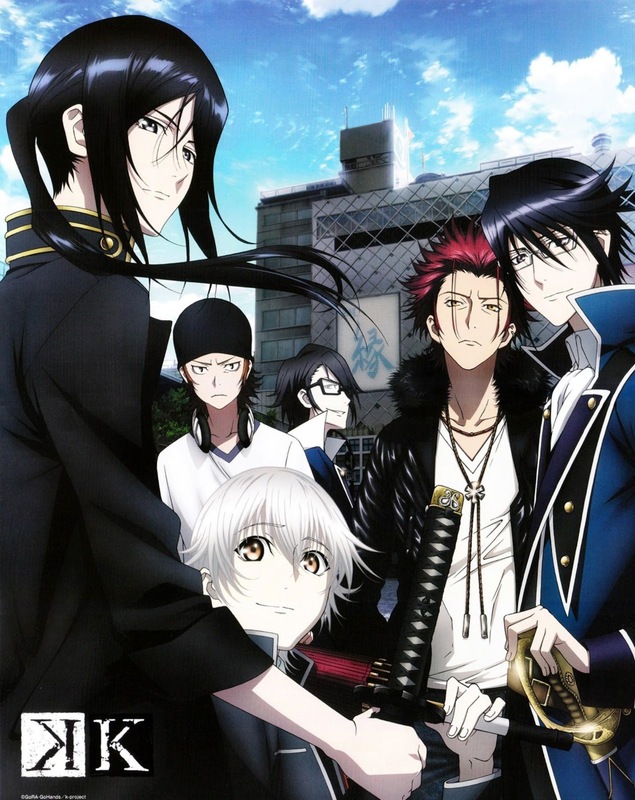 Notes: OP for the anime K (or K-project). One of my favourite opening songs from this seasons' animes. K got more exciting this week. We now know more about the bonds of the people in HOMRA. In particular, Tatsuka, the one murdered by the colourless king. Ah Kaji Yuki (the seiyuu for Tasuka) has such a wonderful singing voice - he sang the ED this week.